A prize-wining and extremely prolific writer, Haddad is a poet, playwright, short story writer, novelist and essayist. 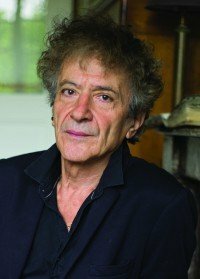 Born in Tunis in 1947, he has lived in France for most of his life, where his literary career began in the late 1960s, when he published his debut collection of poems and founded the surrealist literary magazine Le Point d’être. His numerous well-received short story collections have led him to be considered as one of those responsible for the revival of the short story in France. He has also written many novels, ranging from the hallucinatory day described in his debut Perdu dans un profond sommeil (Albin Michel, 1986), via the exploration of myth in La Condition magique (Zulma, 1998), to the depiction of brutal modern reality in his more recent work Palestine (Zulma, 2007), which won the Prix des cinq continents de la Francophonie. Haddad has also been described as a pioneer of creative writing workshops, he has taught since the 1970s in schools, universities as well as prisons and community centres.